While Cape Town certainly flaunts its fair share of fine dining establishments and claims a whole host of cheap chain restaurants too (think McDonald’s, Steers, Simply Asia and many more), it’s somewhat less easy to find eateries that fall within an attractive middle ground, a space comprised of affordable sit-down places to eat with top-notch offerings and an inviting ambience. Enter our guide to first-rate budget-friendly bistros, cafés and kitchens in Cape Town and surrounds. 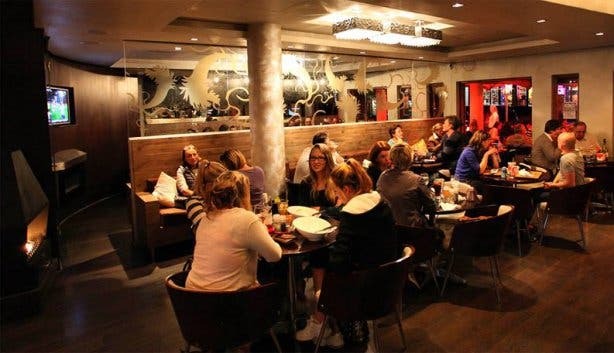 We’ve scoured the streets of the Southern Suburbs, the sidewalks of the city centre, the nooks and crannies of Winelands towns and the prettiest perches on the Atlantic Seaboard to bring you our pick of inexpensive restaurants where you can find a filling, freshly made meal for less than R60 or R70 per person (R75 at a push). From health-conscious snack bars and vibey Cuban haunts to fish ‘n chips canteens, the economical inclusions below all treat guests to a decent lunch or dinner and return-worthy experience without constraining the cash flow. As it’s nestled in the heart of student town in Stellenbosch, it comes as no big surprise that this warm and welcoming neighbourhood eatery tailors its prices for those with a little less to spend. Though with a trendy interior, inviting umbrella-covered sidewalk seating, generous portions and relaxed but quality service, Java Café is not only popular amongst penniless university learners; it’s an equally ideal spot for an affordable business-related lunch, afternoon snack with friends or inexpensive dinner date. The menu is diverse, with well-liked options such as the Farmyard Special, a gourmet sandwich consisting of a grilled chicken, fried bacon and cheese for just R72; the Honey Coated Sesame Seed Chicken Wrap which is made up of chicken strips marinated in honey and whole grain mustard, feta, avocado pulp and balsamic glaze for R75; and the Smokey Joe, which comprises of smoked chicken,brie cheese, caramelised onions for R72. On top of that, the eatery has regular burger and pizza specials throughout each week to add to its already enticing appeal (check their Facebook page for details). Those looking to match their meal with a tipple or two will also find reasonably priced drinks at the restaurant’s chic bar – simply another highlight that makes this laidback café an urban Winelands gem. With two small, cosy branches in Cape Town, one in Gardens and one in the Southern Suburbs’ edgy Observatory, Narona is the go-to spot for skint Mother City dwellers seeking affordable yet quality fare. The local hangout’s menu includes a diverse array of mouth-watering dishes, including a myriad of vegetarian and meaty pizzas, for which they’re now renowned. In addition to these generously topped pies, which average around R70, the cheap restaurants also dish up large beef and chicken burgers for between R45 and R58 – the Cheese and Bacon Burger goes for a minimal R58, for instance – tramezzini for between R52 and R65 and tagliatelle or penne pasta for between R60 and R80 (the seafood pasta, a costly option at most eateries, rings in at an almost unheard of R80). Both branches feature an alfresco patio, so on balmy summer days, diners can enjoy their low-cost lunches or dinners in a vibey open-air environment. 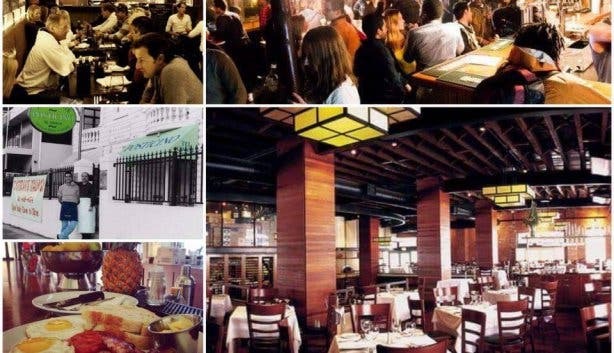 An exotic food court-style eatery reminiscent of a vibrant Middle Eastern souk, this famed CBD spot is one restaurant at which guests can enjoy a hearty helping of cuisine while still keeping bank balances intact. The always-busy establishment specialises in authentic Eastern and Oriental fare across the spectrum (Chinese, Indian, Arabic, Turkish) and unbelievably low prices – patrons will never pay more than R60 (even R50) for a filling plate of grub, sides and a drink included. 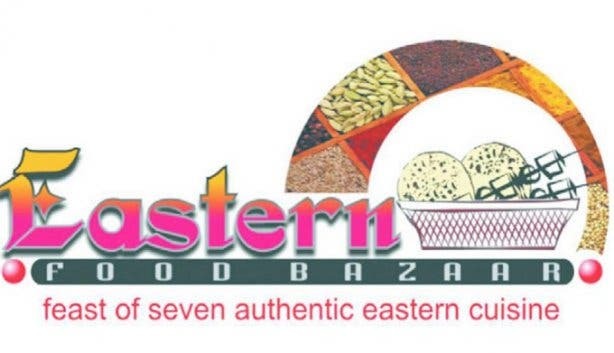 With a laidback canteen-like vibe, the eatery is lined with counters featuring the different genres of spiced cuisine, and visitors can order their pick of kebabs, shawarmas, curry, biryani, bunny chow and much more directly from the chefs that man the respective stands. As a popular hangout that’s always buzzing, this vibey bazaar offers more than just great value for money; it promises a unique and alluring Cape Town experience. Perched right on the water’s edge at Kalk Bay’s small working harbour, the casual Kalky’s is well loved by locals and tourists alike for its reliable offering of cheap seafood and a classically Capetonian experience. As easy-going as they come, the canteen-like eatery serves up freshly caught fish and chips for R55, calamari and chips for R70 and an assortment of platters and family meals for very reasonable prices when shared. The menu boasts a few more costly options too, like crayfish and prawns, and all inclusions come fresh from the ocean that rises and falls but metres away from its rough-and-ready doorstep. While many may frequent Kalky’s for a quick, no-fuss, no-frills takeaway, the bistro does also offering informal seating both inside and out; though, on warmer days, it’s certainly advisable to find a perch outside on the sun-drenched, seal-dotted harbour’s edge. 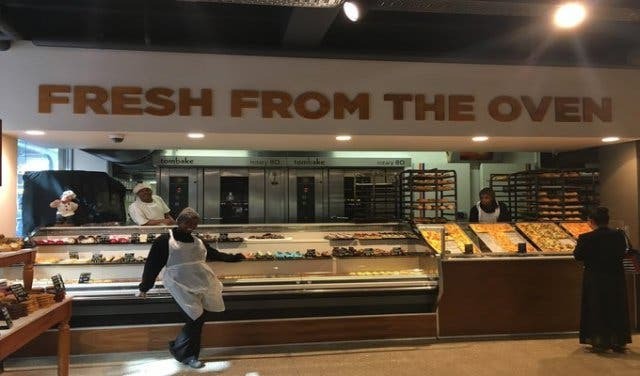 With over 15 sleek stores in the greater Cape Town area, some as far as Hermanus and Somerset West, Fruit & Veg City’s Food Lover’s Market is a one-stop shop for money-conscious Mother City dwellers seeking a quick quality takeaway. 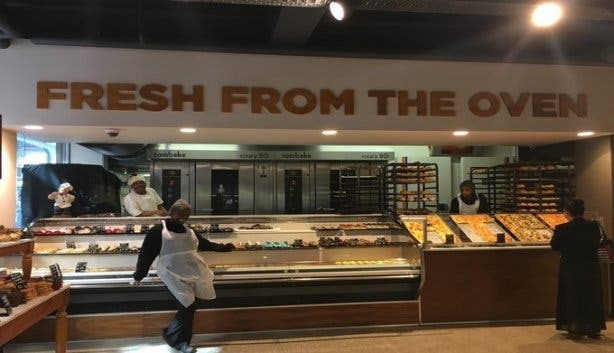 Most of the shops take the form of large food emporiums – tastefully decorated ones at that – where visitors can help themselves to an endless assortment of hot and cold dishes from various sections, including grill, pizza, pasta, sushi and salad bars. As the eateries work on a reasonable pay-by-weight system, diners can more or less control the final cost of their meals, and walk away with a satisfying portion for a very economical amount. Some of the outlets do also offer inside seating for those eager to linger a little longer, and the Claremont branch, arguably one of the largest, boasts a full à la carte restaurant upstairs too. Opening Hours: operating hours vary from store to store, but most are open from Monday to Sunday from early in the morning until 6pm or 7pm in the evening. Check out the R50 lunch special at House of H.
Looking exclusively for an affordable seafood eatery? Take a peek at our pick of Cape Town’s top low-budget sushi restaurants. Take a look at our R30 and under overview for budget lunches in the city. Get sliders for R20 at Hudsons Burger Joint.